I tried to make this image like it was taken on a vintage film camera, what do you think? I think you succeeded but I’m not sure if it conveys the thoughts and emotions you intended. I’ve seen old WWII and Korean war photos that look like this. Is that you’re intent? 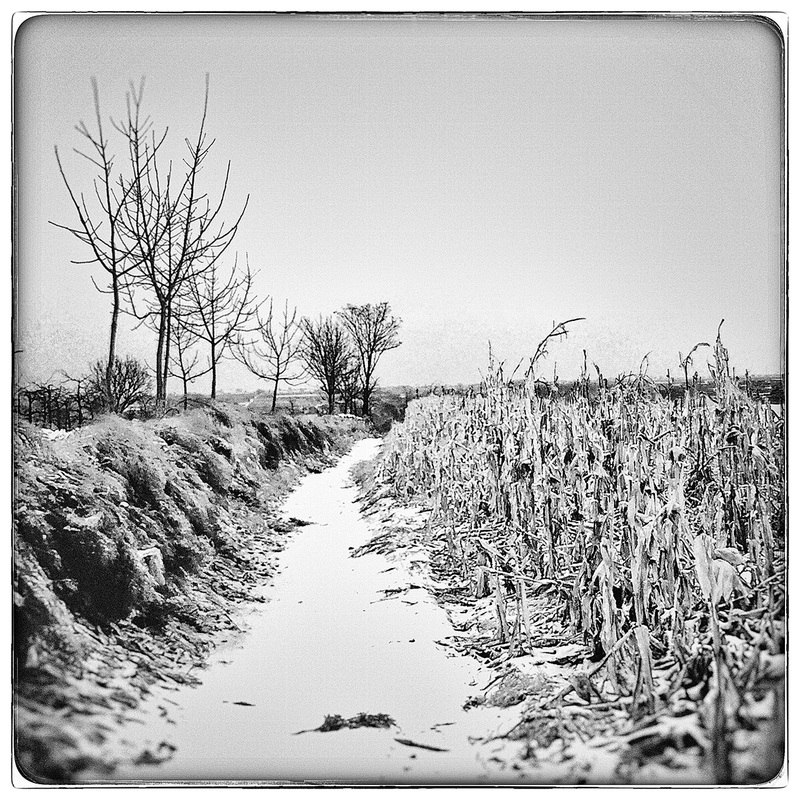 Yeah, I sort of wanted that vintage, light leak look, 1930’s square image. The left looks aged but the right sharp looks too sharp. Just my opinion. A frozen stillness…..and I do hope that it was still, because a breeze at those temperatures and it would go right through you. Very still John, we really loved walking through the fields.